The new year has just arrived, and the budgets are fresh. Now’s the time to find new clients and build up your pipeline for the next year. The way you begin your year will determine the outcome of it. If they’re smart, most of your competitors realize that too. They’re probably chasing clients at this very moment. While everyone else is using the same tactics, we’re here to provide unique tactics for winning new clients and staying at the top of the agency game. Get a profile on websites like Clarity.fm, where you can be easily discovered by others looking for your specific help. These websites are crowded, so consider giving away some free advice. 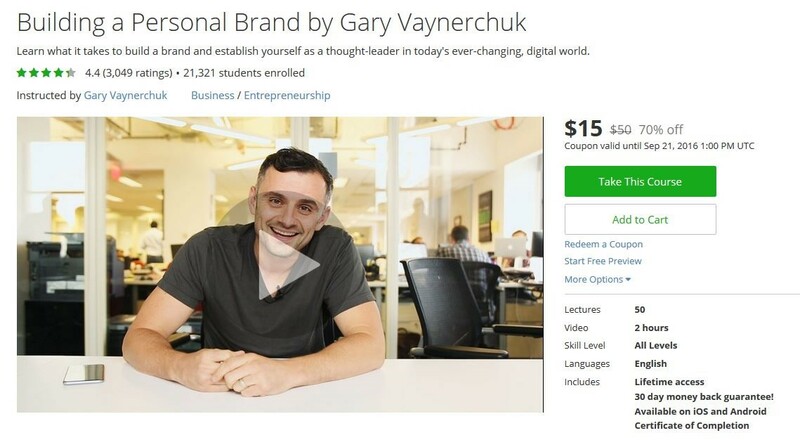 Alternatively, you can create a free or paid course on a site like Udemy similar to Gary Vaynerchuk’s. This will not only boost your visibility and build brand awareness, but it will allow prospects to see your expertise and possibly seek out your services. Partnerships are a great way to gain new clients. As a marketing or advertising agency, you can partner up with non-competing companies and organizations that are complementary to your business and whose target audiences are similar to your own. You can even partner with other agencies. 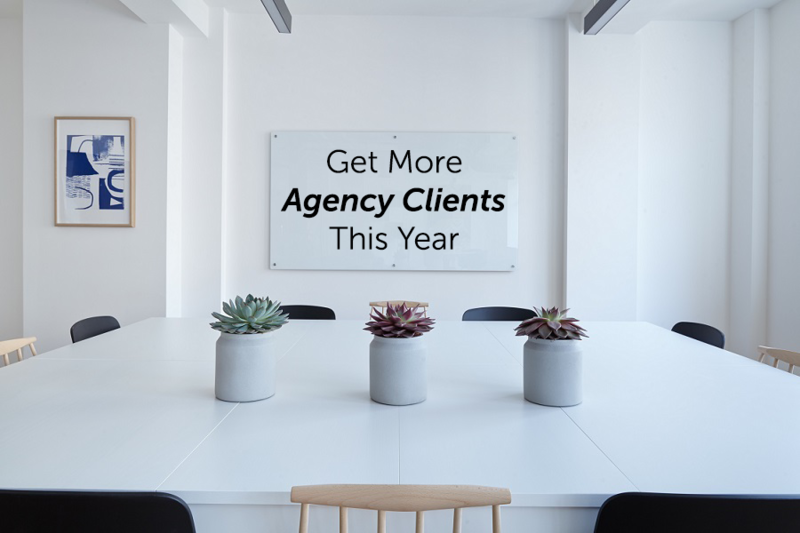 An agency that’s much bigger than you can refer clients with small projects that are below their usual scope and vice-versa. It’s called ‘Engineering as Marketing.’ This term was coined by Gabriel Weinberg and Justin Mares in their book Traction. It involves building a free product to help your customers in order to generate leads. 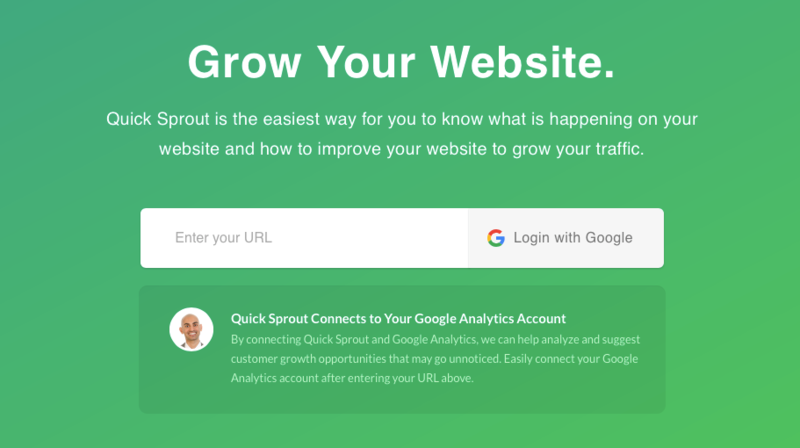 Neil Patel of Quicksprout is a great example. His website offers a tool to analyze your traffic and pinpoint bugs and issues. It’s a win win. You get the advice you need for free, and Quicksprout has a new prospect in their conversion funnel. Asking for referrals is a certainly nothing new. But ask yourself, when was the last time you did so? People are four times more likely to buy when referred by someone they know, according to a study by Nielsen. It may help to offer a creative incentive, but often, happy clients are more than happy to recommend your services to their sphere of influence. Another simple way to get a quick boost in new business is to simply re-approach lost clients. Especially when you good news or something exciting to share. Don’t just come over with a request for a new business. Look into why they left in the first place, and then treat them like a fresh lead. The reality is if someone has done business with you in the past, they’re highly likely to do so again (as long as you’ve found a way to address their previous issues). . Using tools like pr.co or HARO, you can easily connect with journalists and pitch them your feature or simply contribute to article they’re writing with a quote or statistic. If your agency has valuable proprietary data, a compelling brand story, or industry news to offer. Alternatively, you can pitch major publications to republish some of your best content, just like James Clear describes in his interesting article on the topic. If you’re not doing cold selling, you may want to consider it. Some of the recently avaiable tools, such as Prospect.io, make it much easier to build clientele this way. It’s rare for an agency to reach out to prospective customers cold, but there may be local customers who need your services and would rather work with someone in their community. We all know that cold calling can be a nightmare, but there are ways to do it right. Direct marketing and offline advertising is considered obsolete, but it can work. Also, it’s cheaper than you’d expect and allows your agency stand out in the crowd. Why not separate yourself from all of the internet noise with a billboard or radio ad in your target market? Be smart about it. Set out a small budget and experiment. Track your results and see where the business is and what works and what doesn’t. Twitter offers some powerful search features that you can use to find people looking for help and referrals. 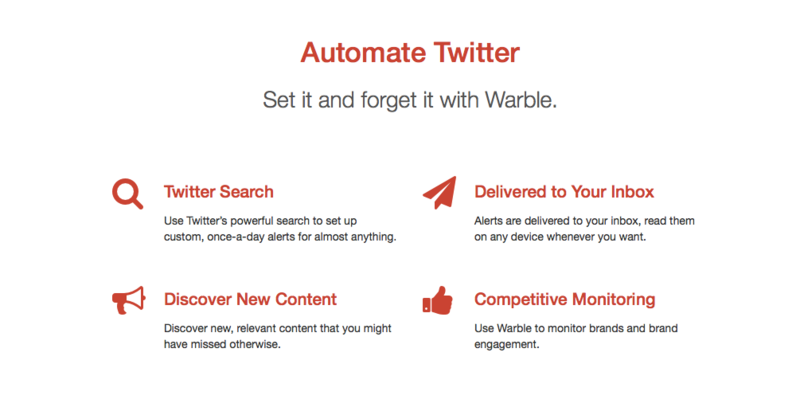 You can use Warble to automate your searches and create alerts that get delivered to your inbox each day. Using tools like BuzzSumo, Brandwatch, and Twitonomy will help you identify people with reach and influence. Connect with them using tools like Traackr and LittleBird and start building a relationship. Instead of pitching your service, think about the ways you can offer some value. Richard Branson has built a billion dollar empire on the back of his publicity stunts. Who says you can’t do the same? Stirring a controversy or launching a hilarious campaign can get you some valuable exposure and boost your business. For example, a couple of years ago, Viceroy Creative launched a controversial campaign that got them featured in many of the major marketing media. Apart from landing slots on relevant conferences, consider finding some relevant meetups on meetup.com and become a speaker. Many of these events are constantly looking for speakers and offer some exciting audiences. Alternatively, you can sponsor some or even launch your own meetups and events. For example, a London SEO agency runs what is now one of the leading industry events, called LinkLove.